Home / Digital Marketing / Why Digital Marketing Is A Better Career Opportunity For You? Why Digital Marketing Is A Better Career Opportunity For You? With increased the internet and mobile usage over the last few years. Everything becomes digital, user spent more time with their phone or desktop and love to shop or buy anything by sitting at their home or offices. 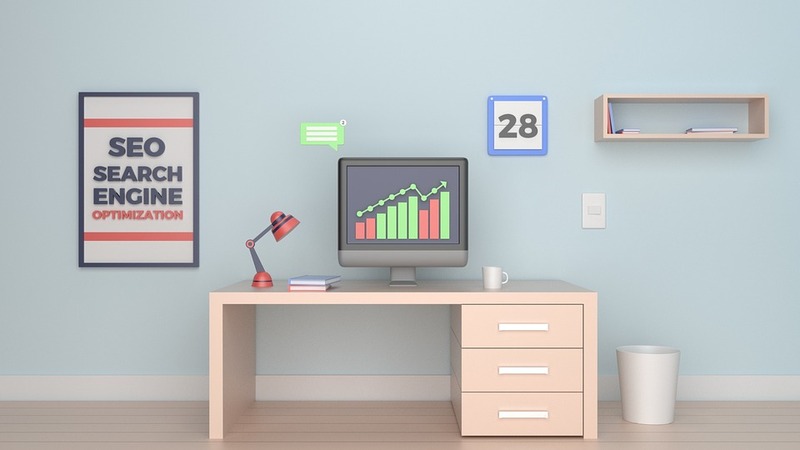 For running a successful business, website promotion is necessary and promotion of the products is done by using some DIGITAL marketing techniques. To reach to millions of people marketing is an essential component. There are so many digital companies in India that offer lots of digital marketing jobs opportunity to candidates. Digital marketing is a never-ending process and there are so many reasons that you can make your bright future in this field. You will always be in demand: Every second businessman has run their website; some get successful in the online market while some gets fail. This is due to the lack of marketing techniques. Suppose you are having a good website, but if you don’t understand your customer’s needs and you will not communicate with them properly then how will you sell your products in the market. For this reason, Digital marketers demand will never end. Marketing and sales are the only solution to get success in this area. Many new companies open their startup in digital marketing because of the high demand. Prediction says that, in the coming years, Job opportunities will be very high in this field. Huge job opportunities: it is a vast field and offers so many job opportunities to candidates. Every day, with the opening of new companies’ requirement for the candidates is also increased. Another advantage to go in this field is that you can learn more in this field and also earn higher salary packages. TCS, Make My Trip, Amazon and many more big companies also hire the candidates for SEO work. Easily open your startup: If you have a proper idea of technical concept and marketing then you will get job opportunity as well as you will easily open a startup business in near future. After getting some experience from the big companies, you can easily open a small business. When you will proper knowledge of marketing as well as when you will start to understand your customers’ needs better, than you can make bright career and can become an entrepreneur. Lots of career option to choose: Digital marketing offers lots of different career opportunities for the young candidates. You can go in the field with your interest. You can hold multi-roles in this area; you can become a content marketer, email marketer, SEO executive, SEO specialist, SEO manager, PPC executive and PR expert. You have a lot of options to choose from as well as all of these options is very trendy and offers higher salary package. No need for a specific education background: It doesn’t matter that you are a B.Tech, MCA, and BCA. If you have good knowledge of some programming languages and good knowledge of computer then you can make your career in this field. In this more than your education background, your passion matters a lot. If you are ambitious to learn digital marketing concept then this is best for you. Digital marketing is very dynamic and trendy field that provides various opportunities to candidates, as well as give them assurance to make a bright career. It gives a boom to your career and you will make your position high in the industry after getting some experience. If you are serious to make a career in digital marketing then learn from today, on the internet, there are many tutorials from where you can easily learn the concept of marketing. 1. Start reading blogs of marketing, there are so many famous blogs of digital marketing SEOmoz, http://www.seomoz.org/blog Hubspot http://blog.hubspot.com/. You can get deep knowledge about this concept by reading all these blogs. 2. Stay updated with every new Google update or with every social media sites. 3. Make your personal project and start marketing of that project. Make your own blog and provide useful information to visitors. 4. Learn from E-books or video tutorials. Start learning on-page and off-page activities of SEO and explore yourself as much as you can. Khushboo Setiya is a blogger and online media enthusiast and who loves to pin down her views on a number of topics that interest a reader. She loves to write about various related topics such as Web designing Techniques, Digital marketing, career guidance, Job searching Techniques, IT Development and much more.